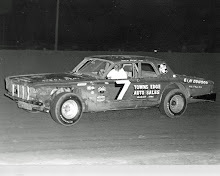 Oskaloosa, Iowa (August 30, 1972) - Bill Zwanziger of Waterloo conquered the big Southern Iowa Speedway half-mile oval last night at the super stock races. Zwanziger led the full 25 laps to capture the feature race (his first) after starting on the front row pole position by virtue of his first heat victory. Bill picked up $540 for his night’s efforts. Chasing the Waterloo, Iowa, veteran for the first spot was Pokey West of West Chester breathing down Zwanziger’s tail with a group of four hard charging drivers close behind. The close competition was some of the best Oskaloosa fans have seen this season. 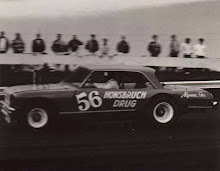 At the 10-lap mark it was Zwanziger, West, Ron Hemsted, Bob Hilmer, Ed Sanger and Ron Perdock. By lap 15, only Perdock had moved up one place. As the 20-lap go-round came up, Perdock had moved into third. The confusing action came as the pack was coming through turn four to take the white flag. Zwanziger and West came through all right, but the next four cars did some spinning and mixing up. Sanger passed three cars and took over third place followed by Ron Hemsted of Lone Tree, Bob Hilmer of Dysart and Dan Dickey of Packwood. 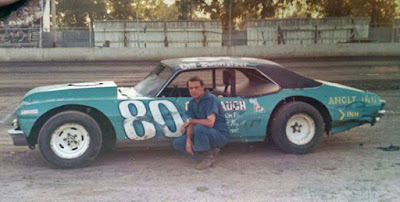 Ron Perdock spun into the infield and came back on the track, but had lost seven places. Ron Perdock led all the way to win the semi-main event. Perdock had a good lead until a red flag restart on the eighth lap brought the pack up on Ron’s bumper. Tagging Perdock at the finish was Red Dralle of Waterloo followed by Bob Bonser of Liscomb, Bill Rice of Des Moines, Stan Stover of Reinbeck and Ken Boyse of Kalona. 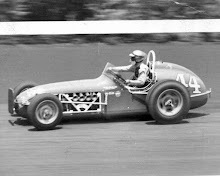 Ed Sanger was the only car on the track to take the checkered flag for Australian pursuit after all other cars had been eliminated. The last to be eliminated was Perdock who held the lead when he spun out coming out of the fourth turn on the very last lap. Don Hoffman and Ron Hemsted were third and fourth. Zwanziger ran away with the first heat win ahead of Pokey West and Ron Hemsted passed John Babb of Ottumwa on the last lap to win the second heat. Babb had led all until that last one-fourth lap. Bob Hilmer managed to hold off a hard charging Ed Sanger to cop the third heat. 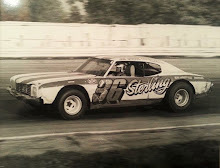 Eldon Newberry and Jim Brown started the sportsman race side by side and stayed that way until Brown took the lead on the back-stretch of the first lap. Brown of Martinsburg held on to lead the whole way to take his fourth sportsman victory of this season. Newberry of North English finished runner-up to Brown while last week’s winner Paul Lanphier of Oskaloosa picked up third place. 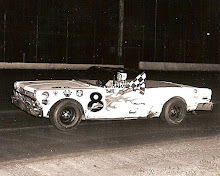 In the three car battle for fourth, Bill Metcalf of Selma edged out fellow townsman Don Berige. Skip Gray of Ottumwa finished sixth. 10. Howard Smith, Des Moines.